THERE could be few acts more distasteful than disrupting a solemn graveside ritual, especially by calling loudly and belching. Then again, elephant seals - burping, gurgling, farting, mobile waterbeds that they are - aren't known for their decorum, and of all people the great Antarctic explorer Sir Ernest Shackleton would probably excuse their behaviour. 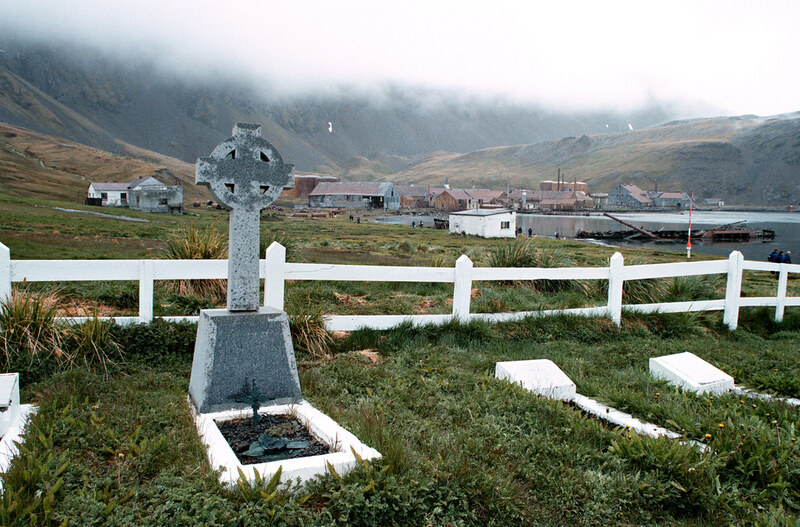 We were standing in a whalers' cemetery on the sub-Antarctic island of South Georgia, 100 or so people wrapped up against the chill, each cradling a tot of rum in a little plastic cup, about to toast Shackleton's memory. His fateful journey south, which resulted in an epic survival story after the destruction of his ship Endurance in the Antarctic ice, had begun here at the whaling station in Grytviken on December 5, 1914, and his life ended here on January 5, 1922, when “The Boss” had a massive heart attack on the eve of another expedition to the Antarctic. It was a reverent moment until a bubbling sound like a misfiring outboard motor disturbed the sober atmosphere and everyone turned to a wide-eyed juvenile elephant seal poking his snout through the picket fence. He blurted and snuffled and generally made a nuisance of himself until the party broke up, proving yet again that the wildlife has retaken South Georgia. From Christmas Eve 1904 until the end of commercial whaling in 1965, South Georgia was the biggest slaughterhouse on earth. The island's whaling stations processed an almost unfathomable 175,250 whales in six decades. In the peak season of 1925-26,1855 blue whales, 5709 fin whales, 236 humpbacks, 13 sei whales and 12 sperm whales were killed. Seals, too, were prized - an estimated 1.2 million fur seals were killed for their pelts and elephant seals were taken for the oil extracted from their blubber. The day before our ship, the Akademik Ioffe, reached South Georgia we ran into an extraordinary field of cetaceans feeding on a rich supply of krill, as many as 18 blue whales as well as humpbacks, fins, leis, southern rights, a beaked whale and a minke. Some experts have suggested it was the biggest bounty of whales seen in one day since the end of the whaling era. In our four days in South Georgia's waters, however, not one whale was seen. Romantics like to think that the whales somehow sense that South Georgia was their killing field and choose to avoid the area. Shackleton's story is intertwined with South Georgia's. When Endurance was finally crushed by pack ice on November 21, 1915, having been beset that January, Shackleton and his crew set up camp on the ice. In March 1916 they took to the water in three lifeboats and after seven days made landfall at Elephant Island. A week later Shackleton and five others set sail in the 6.9-metre James Caird and somehow managed to navigate 1300 kilometres of the world's wildest seas to reach South Georgia's bleak west coast. It was an unspeakably awful journey, 16 days in a small boat, trying to catch snatches of sleep while wedged between blankets filled with unyielding rock ballast, skin rubbed raw from the chafing of clothes not changed for seven months – “supreme strife amid heaving waters”, as Shackleton put it in his memoirs. The whaling stations that Shackleton knew meant salvation were on the opposite coast, so he and two colleagues, Frank Worsley and Frank Crean, set off to cross the savage, unmapped interior of South Georgia on foot. For 36 hours they trekked through snowfields and deeply crevassed glaciers, crossed frozen lakes, reached dead ends, took wrong turns and at one point leapt in the darkness half a kilometre down an ice cliff with no idea what awaited them at the bottom. Crean fell into a lake that now bears his name not long before Shackleton heard what he thought was a work signal from Stromness station. What is still possible, weather permitting, is a retracing of the final few hours of Shackleton's trek. After a steep initial ascent from Fortuna Bay it is easy walking across a saddle and past Tom Crean's lake to the point where the factory whistle was heard. Then it is a scramble down loose scree - rather than the frozen waterfall that Shackleton and his colleagues somehow descended - to the tussocky marshland that surrounds the old whaling station. Vicious katabatic winds roaring off the island's glaciers made it impossible for us to make the walk this year, but six years ago I managed it, dodging aggressive fur seals on guard around Stromness's tumbledown buildings to come to the door of the (supposed) manager's house. As everywhere on South Georgia, the wildlife ruled. Inside one building a pair of doe-eyed elephant seals lay between winches and work tables, in another, fur seals peered from beneath metal beds. In every comer a seal seemed to have taken up residence, sheltered from the worst of the elements and generally undisturbed. At Grytviken it is as if the whaling station has been subjected to a kind of industrial autopsy and then the body has been dressed for showing it to the relatives. Courtesy of a seven million pounds grant from the British Government the shells of the buildings have been removed in the past few years to reveal the boilers, engines, pipes, valves and other machinery of the oil extraction processes. There is, when you think about it, a synergy with the whaling era in the stripping down to the bare bones of the factory. 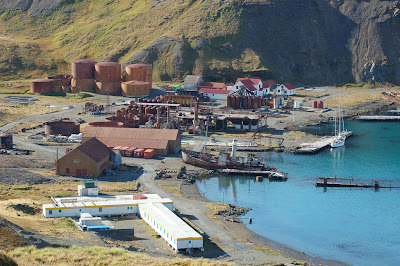 Grytviken is safe to wander through and it is richly evocative in a sanitised, museum- like way, but the stations at Stromness, Leith and Husvik have a more stark and truthful aspect to them, with their rattling iron walls, rusted machinery and half- submerged wharves, all displayed to the accompaniment of the plaintive cry of countless seals. What Grytviken does have is a human aspect the others lack. The station's excellent museum, which devotes a section to Shackleton, is run by South Georgia's only two permanent residents, Tim and Pauline Carr, who also look after the beautifully restored whalers' church. 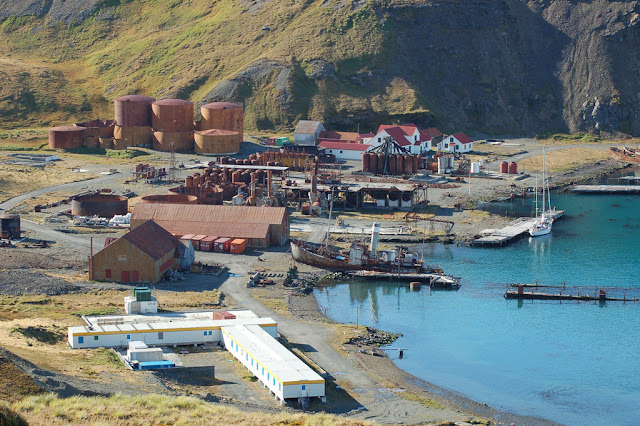 Visitors are encouraged to ring its bell, the peal of which echoes around Grytviken's natural amphitheatre. Our first landing on South Georgia this year was at Prion Island, home to a small population of the threatened Wandering Albatross. Neighbouring Albatross Island is now closed to visitors because of the fragility of its bird population, while Prion Island may soon also be off limits. In a contentious move, the South Georgia government, run from the Falkland Islands, plans to build a wooden boardwalk across the beach and up the gully that leads to the albatross nesting grounds. The aim is to prevent erosion of the steep gully and to minimise disturbance to the wildlife - penguins and seals are also in profusion on the island - but critics fear its impact on several levels. 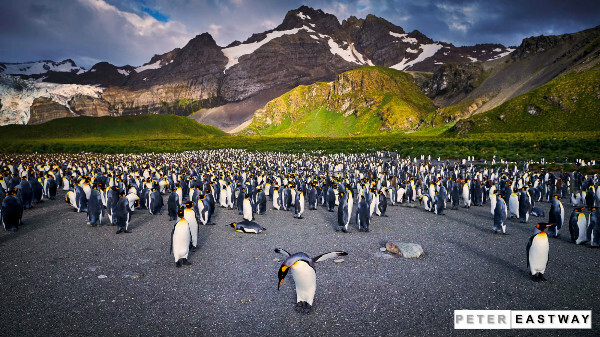 They worry that it will encourage greater numbers to visit Prion Island, causing more pressure on the albatross population, and that it will disturb established penguin trails on the hillside. There is also concern about its visual effect. Many conservationists, including some who work for the adventure cruise companies, would prefer the island to close to visitors than to see the boardwalk constructed, as unpalatable a decision as that may be. There is also discussion about a cull of fur seals on the island. Once hunted to the point where there were only a few hundred seals left around South Georgia, their numbers have now grown into the millions. Now the greater concern is for the wandering albatrosses, whose numbers, decimated by long-line fishing, are declining at a rate that may see them extinct within 40 years. While measures taken by the South Georgia government have seen seabird mortality decline to a negligible level in its waters, elsewhere the deaths continue at a horrifying rate. In tightly controlled groups of 10 we staggered up the boggy gully, keeping a wary eye out for snarling fur seals who were well camouflaged in the tussock grasses. We were allowed 10 minutes at the top of the hill to watch the albatrosses in flight, displaying their plumage or just nesting on their eggs; at all times we were kept within the bounds of a small flagged area. A rule adopted by all cruise companies requires visitors to get no closer than five metres to the wildlife, which is fine in theory and respected in practice. But nobody has told the animals. If you sit on a rock or lie on a beach, penguins, especially the inquisitive kings, will approach and check you out. They will peck at your clothes or tug at the straps of your daypack, or in the case of the king penguins, stride right up to you, look you up and down, and then decide you are entirely forgettable and wander off. At Gold Harbour there were tens of thousands of gorgeous kings on the beach. They are tall, elegant and beautifully coloured, with charcoal bodies, golden necks and salmon-trimmed beaks, full of personality and with a call that sounds like one of those cheap children's birthday parry trumpets. Occasionally it's like watching a Three Stooges movie as they slap each other hard with their flippers, squabble and pratfall. And it's scarcely believable that their chicks, fat little bearskin hats with beaks, grow into these glorious creatures. We farewelled South Georgia with an evening cruise along Drygalski Fjord, which was like passing through an Ansel Adams photograph. The scene was monochrome, apart from an almost imperceptible blue tint to the glaciers that leaned down into the water. Mountains disappeared into broken clouds, the near-total silence was all the more impressive for the sounds that were present - the bump of the ship's hull on chunks of ice and the pop of air bubbles bursting on their surface, the boom of glaciers cracking under the immense forces that push them towards the sea - and the sky always looked on the verge of breaking into an ecclesiastical burst of sunlight, like something you would see on the cover of an Old Testament. South Georgia, like its wildlife, is always showy and always memorable.